Usually I try to put up sets that match if I'm putting up more than one. 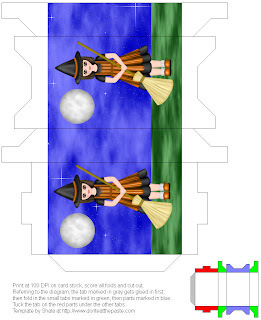 But I really like this little witch so I decided just to post all 3 of these boxes at one time. I hope you like them! 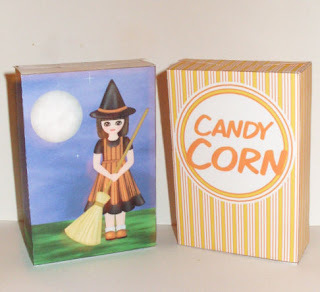 Finished size is 4 inches tall, 2.75 inches wide, and 1 inch deep. 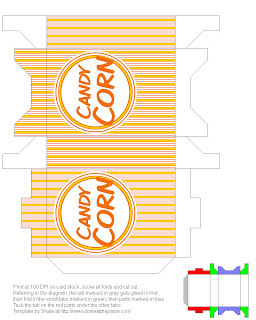 Since the template resembles a popcorn box, I thought a candy corn box would be appropriate to the season, one says Candy Corn in one of the Komika family of fonts, and the other is left blank so you can fill it in. 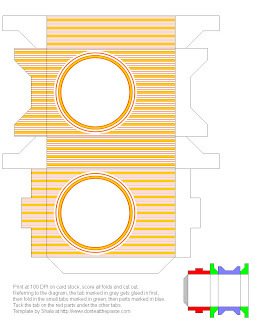 Print at 100 dpi on cardstock, click the images for the full sized versions. Here are the best flickr groups that cater vintage photography for your inspiration.